To that point, we've expanded our list from 21 to 33 this year, keeping many of the strongest shops from last year, and adding an entire roster of new and deserving spots everywhere from Kentucky and Ohio, to Northern California and Virginia. 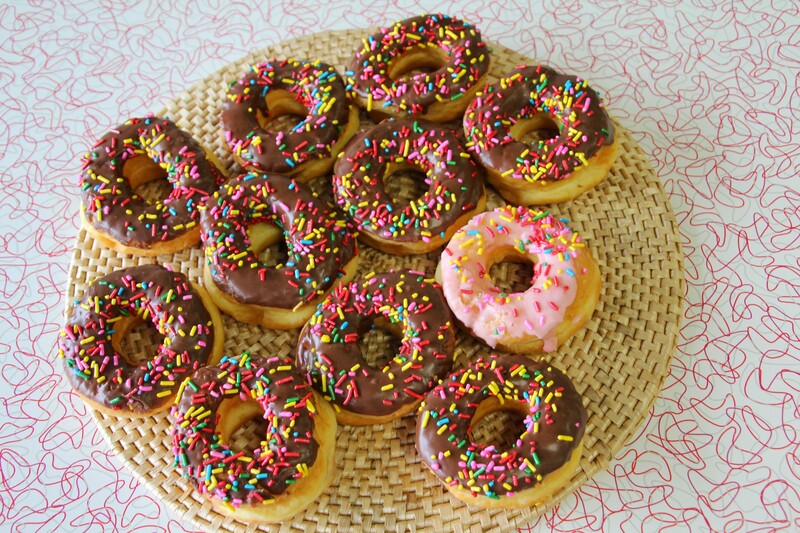 If we missed your favorite, let us know in that bastion of unfettered social democracy known as the comments, but for now, it's time to make (with) the donuts. One of the early entrants into the great Chicago donut boom, Do-Rite's a snug downtown take-out counter that was carved out of space belonging to an Italian restaurant, and they're making the most of their modest square footage to turn out donuts that have caused the diet of many a Loop office-drone to go horribly awry (pistachio-Meyer lemon, Valrhona chocolate glazed, candied maple bacon). If that wasn't enough indulgence, their second location brought fried chicken into the mix. Can you get donuts as fried chicken sandwich buns? Yes, yes you can. 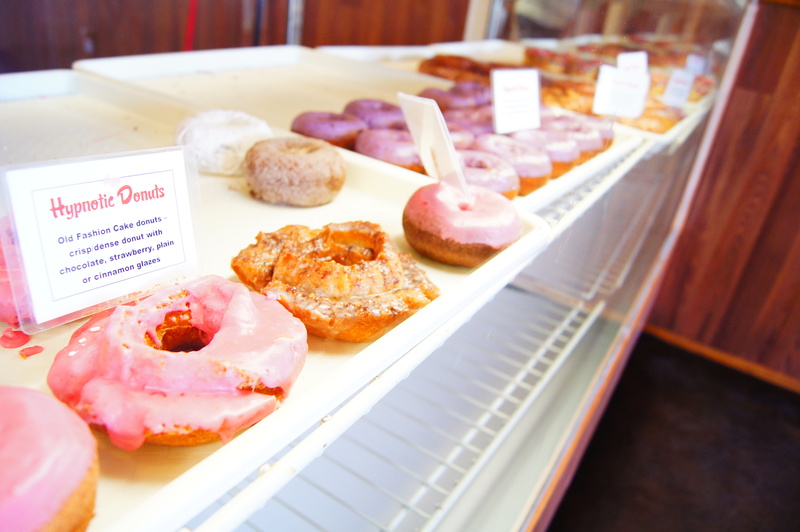 A favorite of our San Diego editor Sara Norris and pretty much anyone who has ever eaten there, Donut Bar gets the call again thanks to that perfect mix of old-fashioned donut-making skills, and an addictive changes-by-the-day menu of new creations that will make you have donut fever dreams for weeks. Of course you can't go wrong with their hand-torched creme brulee, but lately, we've also been somewhat addicted to the glorious fruitiness of their big poppa-tart donut, and the "oh my peanut butter Oreo," which tastes like you mashed up your entire third-grade lunch, covered it in dough, and fried it. In a good way. Such a good way. You want some high-quality alliteration? Look no further than "Dottie's Diner, the deluxe destination for delicious donuts!" And damn if the descriptor and subject of said alliteration isn't correct. Dorothy Sperry's cake-esque creations are now famous in the state of Connecticut and beyond, and for good reason: each made-from-scratch donut is a work of high art (we ate three of the powdered sugar version when visiting), made even more impressive by the fact that the diner serves all the other meals as well, and might be just as known for their positively perfect pies. Sorry, it's addicting. Since 2008, Dynamo has been making the people of that hilly city filled with impossibly expensive condos incredibly happy with Sara Spearin's confection prowess, which results in mad scientist creations like the Bitter Queen (candied ruby grapefruit base topped with a St. Germain elderflower glaze and sprinkled with Campari sugar), chocolate with a raspberry black pepper glaze, and apricot cardamom. Of course, no one will judge if you choose her original vanilla bean with the orange zest either. If you've been to Nashville and you haven't been to Fox's, FOR SHAME! 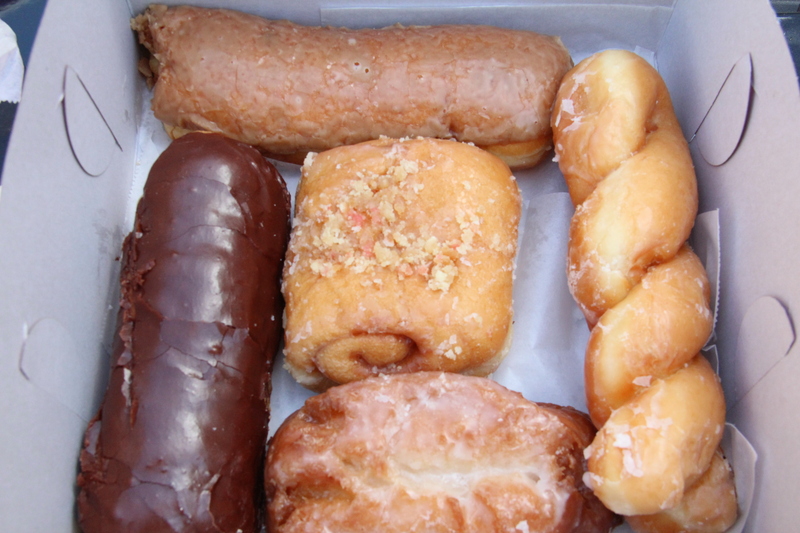 Just look for that sign showcasing a small Dutch boy wearing a cool hat and holding a donut half the size of his body in Green Hills close to the mall, and immediately go in there and get cherry turnovers and apple fritters and, yes, you can also get regular donuts too. But maybe eat that fritter first. 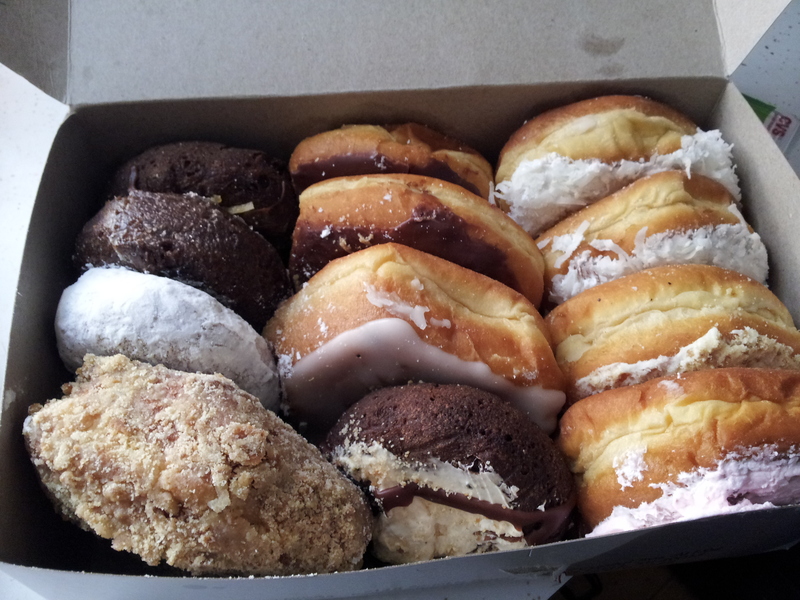 Teresa Fox's delicious creations are back on the list for a second year. The good people of Minnesota are lucky bastards (NOT during the winter) in that they get to experience her 100% made-from-scratch creations whenever they please. 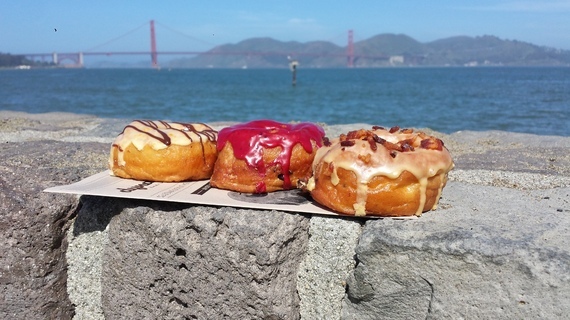 Our current favorites on the list include Bob Seger's favorite Night Moves (blackberry jam, blackberry Hennessy, and brown sugar bits), the Scream Queen (chocolate and caramelized bacon), and our longstanding crush the Chart Topper, which combines peanut butter, Sriracha, and some kind of magically addictive pixie dust. 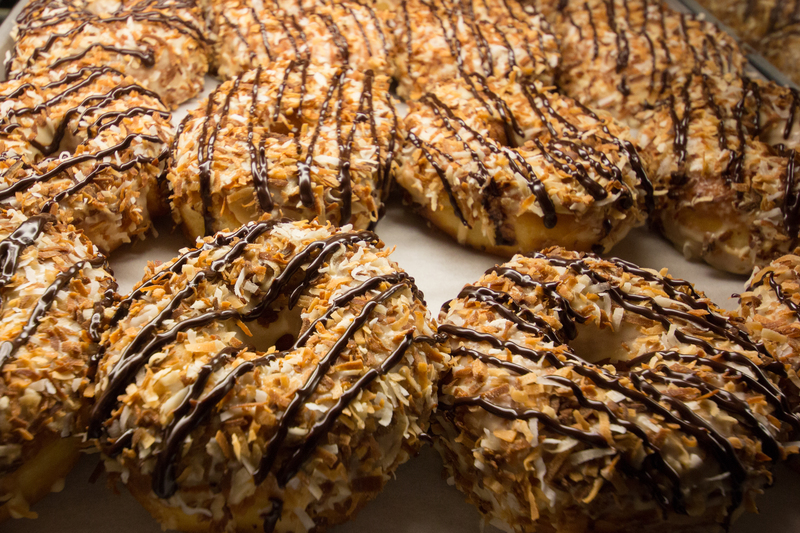 Step into some of Denver's finest coffeeshops (Kaladi, Aviano, Pablo's), and you can spot Glazed & Confuzed's donuts pretty easily; aside pastries and muffin varieties so boring even your grandma would pass on them, you'll find their donut-y take on the Girl Scout Samoa with a caramel glaze, toasted coconut, and chocolate drizzle, and the cheekily-named Guava D's Nutz with a cream cheese cake donut and a guava glaze. In mid-2014, the donut boundary pushers behind G&C opened their first standalone shop in Mile High, giving donut lovers even more variety to choose from, where they have the capacity to make crazy donuts like... umm, a Boston Cream Pie. Sometimes the classics can be good too. If, like Subway's Jared, you've always dreamed of eating donuts as sandwiches, you could do much worse than heading to Gourdough's, which has grown in the last couple of years from a trailer operation into a full restaurant, so you can drink real booze while taking down donuts filled with Angus beef and house pimento cheese (the Big Baller), or more traditional options like vanilla pudding, fresh bananas, and vanilla wafers (the Puddin'). 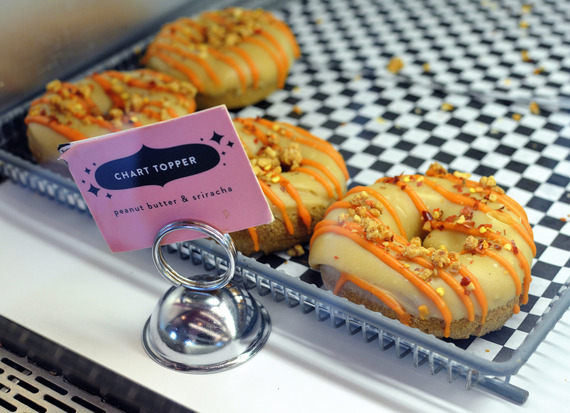 Dallas' desperate need for crazy donut combinations propelled Hypnotic from an operation that only existed in the back of a Ford Explorer to two locations in just four years. 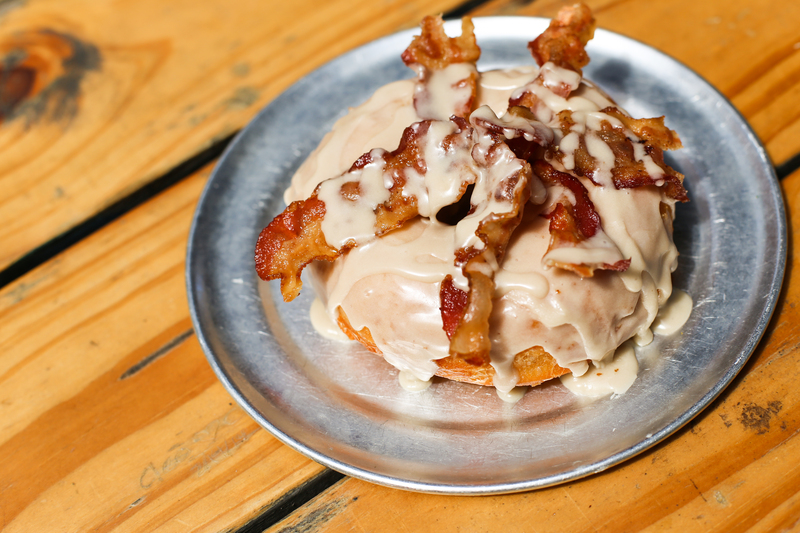 Go for the Evil Elvis (peanut butter, bacon, banana, and honey) to see what the fuss is about. Then maybe try the maple-iced Canadian Healthcare that's topped with a giant strip of bacon. And then just test your own healthcare with their equally famous chicken biscuits. Because Leonard's is now a two-time winner on our list, their story is worth repeating: back in 1882, two Portuguese immigrants came to Hawaii to work the sugarcane fields. Several years later, their grandson Leonard was born, and several years after that, in 1952, he started his own bakery. 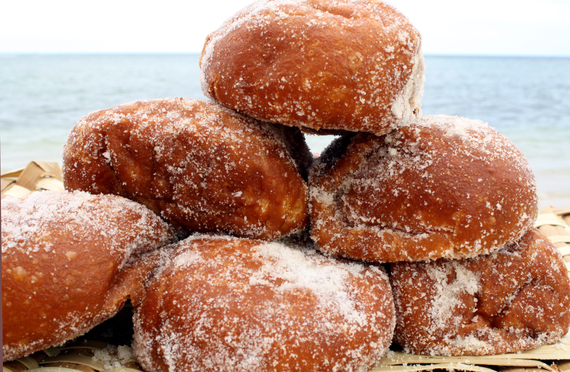 On a whim, his Mother suggested they make Portuguese-style malasadas -- essentially donuts with no hole, coated in sugar. Everyone loved them. 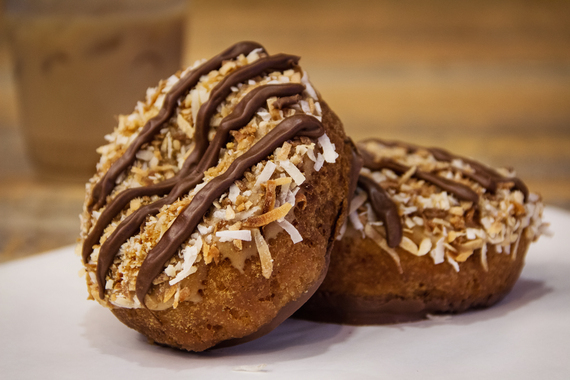 And thus, a legend -- and, by now, a Hawaiian staple -- was born, and the classic still gets the nod thanks to their made-to-order, piping-hot deliciousness (shhhh, but the custard malasadas are pretty damn good too). It's been around forever. They only take cash. The lines on the weekend and weekdays and pretty much most of the time are long. But once you get a taste of their glazed yeast donuts, or the blueberry cake, or that apple one that I can only remember in my dreams, you won't mind the lines. And with donuts being under just barely over half a dollar, you won't mind the cash-only policy either. It's hard to describe Loyless -- not because everything has been said before, because that's certainly not the case for this Southern Alabama institution. Rather, it's almost a caricature of a bygone era: a small-town mom & pop institution where the food is far superior yet much simpler than anything made at the big-box giants. The small town is Cowarts, a town outside of Dothan; you'll find Loyless on the side of Highway 86 underneath towering pine trees. The mom & pop are Eva and Garland Loyless, and their hand-rolled, hand-cut, hand-iced donuts are made every morning. This is old-school America and, if you happen to score one of the few hundred donuts the Loylesses sell each day, typically before 7:30 a.m., you'll realize that old-school America is delicious. Because the excuse to sing late '90s-era Will Smith isn't quite enough to justify a plane flight to South Florida, there's Mojo Donuts. 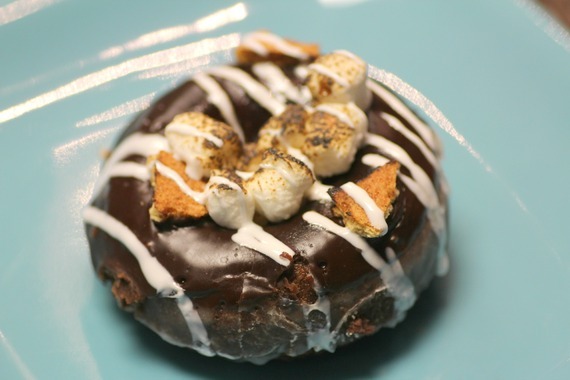 It may be in a strip mall somewhere between Miami and Fort Lauderdale, but just try the Key lime pie or the s'mores. Trust us. 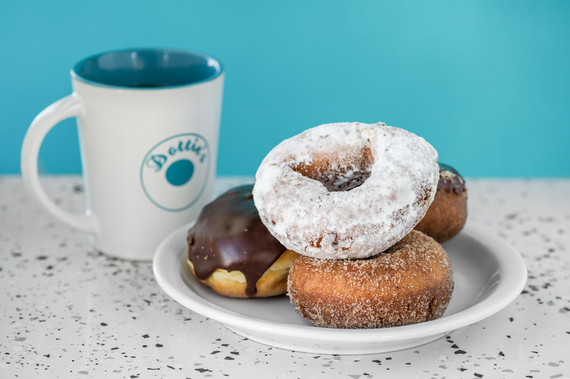 Though we're very into their old-school website, which looks like it was created during the brazen website design year of 2002, the actual donuts at this Louisville bakery are our first love. 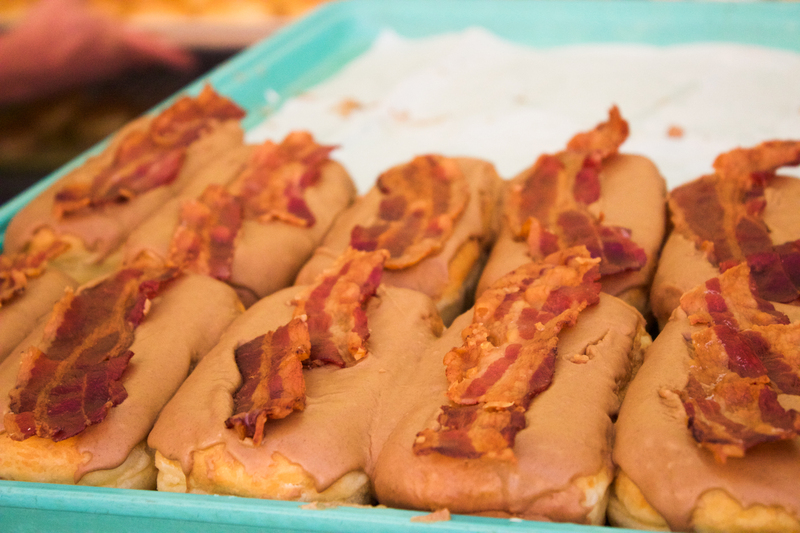 Do yourself and everyone else in your social circles a favor and opt for the maple bacon long john and a pretzel donut, which is a Midwest specialty that tastes nothing like those things that make the cast of Seinfeld thirsty. Since 1956 -- which, in California years, is essentially the dawn of time -- Celia and Ralph Primo's shop on Sawtelle in West LA has been making donuts. And those donuts are delicious. So go there, and buy a mixed dozen, as long as you get at least one buttermilk, a Skippy, a butterfly, a tiger tail, a cinnamon crunch, two twists, and a glazed, and then eat them in front of a SoulCycle, as the ravenous and jealous actors and actresses stream out, and know what it is to fully be alive. In the immortal battle between donuts and candy -- which we just made up -- Sweetwater's is basically Switzerland, and not just because of all that chocolate. It's a neutral zone between confections, with donuts that include a devil's food take on peanut butter cups, a nutty Snickers variant, and a dulce de leche Carmello. Meanwhile, butterscotch makes a leap from Granny's cookie jar to donut form, and the caramel apple gives the Dutch a run for their guilders. 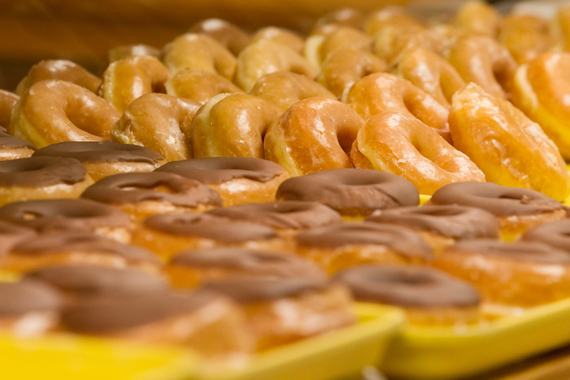 Since 1983, Sweetwater's has been converting the donut faithful to a world beyond the glazed standbys. 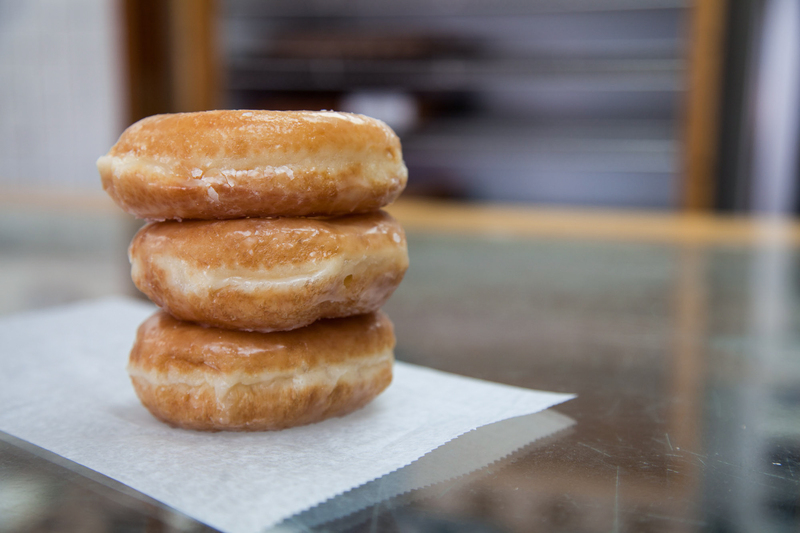 But if glazed is your thing, well, they make a damn fine one of those, too. 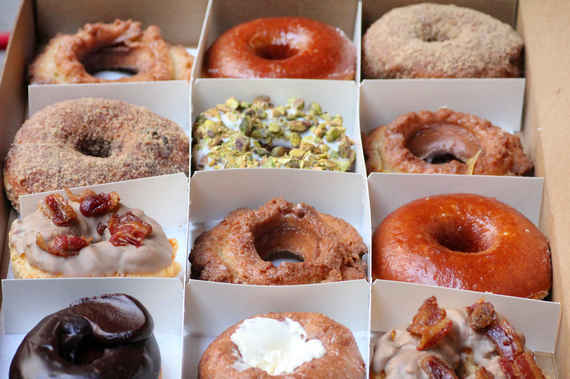 There are still 17 more incredible donut shops to check out, only at Thrillist.com!